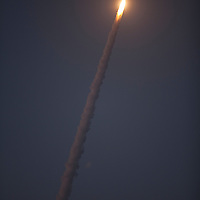 The United Launch Alliance Delta 4 rocket lifted off this evening from launch complex 37 to deliver a military communications satellite into orbit to cover the Americas. 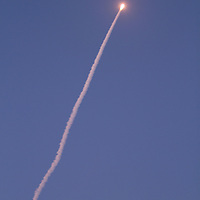 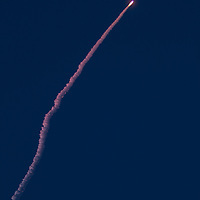 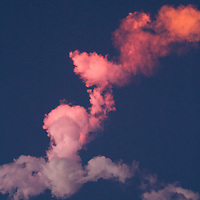 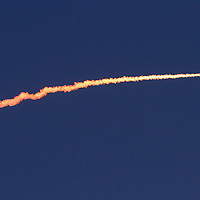 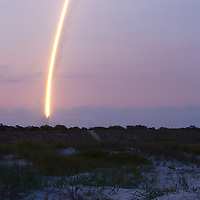 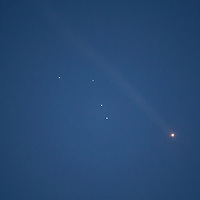 The launch occurred at 8:27 p.m. from Cape Canaveral, Florida on Friday, May 24, 2013. 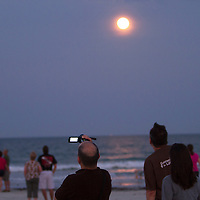 This is a general view from Jetty Park in Cape Canaveral.